Keep up with what&apos;s&puncsp;happening in&puncsp;the Pearl! Better urban density. Rising property values. Walkable neighborhoods. Popular destinations. For nearly 20 years, the Pearl District Association has united residents, business owners, and city government behind a series of plans that have turned this once neglected expanse east of downtown into an "overnight" success. The Pearl is up-and-coming by design — made with the people wanting to make their lives and livelihoods here. Next are plans for growth made to last generations. Tulsans know places like Brookside, Cherry Street, and Utica Square have been great for decades. 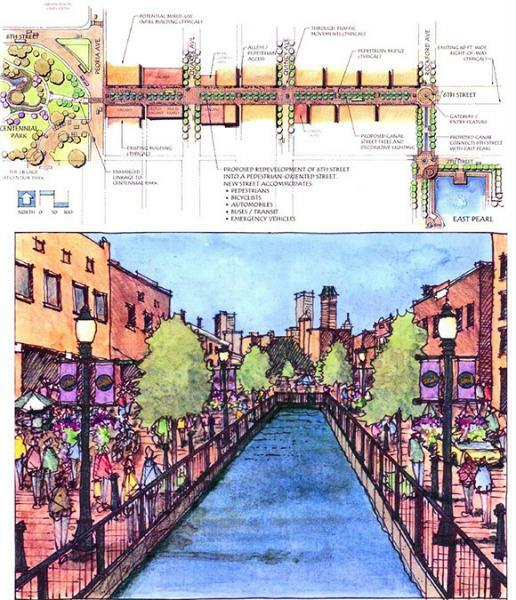 What if you had that next to downtown, at the heart of Tulsa? Just consider the potential in these plans. The Laura Dester Site offers 2.6 acres near the Pearl's most vibrant attractions and upcoming transit lines. The City of Tulsa has a Request For Proposals for new housing and mixed-use development, with submissions due October 13, 2017 at 3:00 P.M. In the video below, our own Dr. Leanne Benton will tell you more about this rare opportunity. 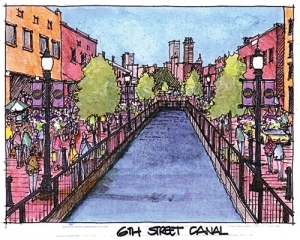 Tulsa's 6th Street Infill Plan gives guidelines to the unique opportunities of the Pearl for redeveloping land with existing buildings. Traditional principles of high-quality, lasting construction for building neighborhoods is their goal. If you're looking for your place in the vision, to have a piece of the Pearl, read this. The Pearl Project Proposal envisions mixed-use development for living, working, shopping, and dining, built around landscaped ponds and a canal. 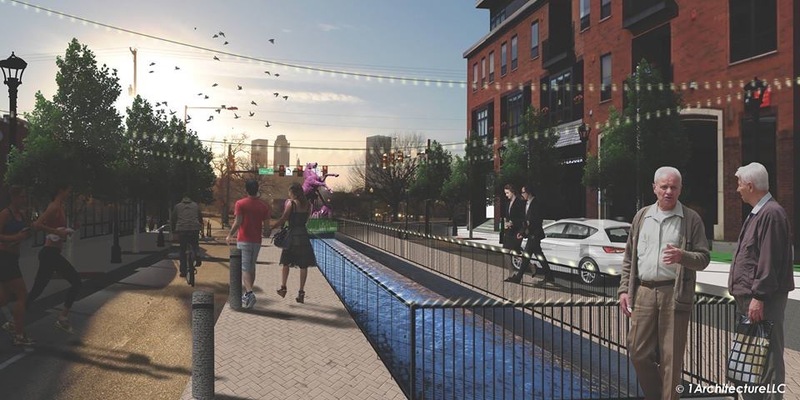 Located by the rapid transit routes being built through the middle of the Pearl, it sees a neighborhood where people can live happily without a car, in Tulsa! To reinvent the art of city life in Tulsa. To develop, from the grass-roots, an urban neighborhood that is diverse, intriguing and charming; adapting to the new realities of the 21st Century. The neighborhoods will have the character, humanity, and convenience of the best traditional cities. To offer a radical and attractive alternative to suburban living where it is possible to work, play and shop without the recourse to an automobile. It's a place where neighbors work to foster great schools and safe, attractive streets and civic spaces thriving with a vibrant civic environment matched by enlightened public policies. Want to have an event or do business in The Pearl? Interested in joining the Pearl District Association? Have an issue or improvement you'd like to see in The Pearl? This is the website of the Pearl District Association. We are an organization of businesses and residents who love their little community and want to continue the growth it has seen for the past few years — once blighted, now an increasingly awesome place to live, play, and do business! We have a Board headed by a President, all of whom are eager to help you be part of making The Pearl better for all the people who come here to eat, drink, hire industrial wizardry, shop, bike, see live music, party, find a home, relax, have meetings, and just generally live well. Members share business opportunities, promote each other, and work together on improvements that benefit all but wouldn't make sense for any single member to shoulder the cost of by themselves. Website built by SconeSoft Ltd. Co.